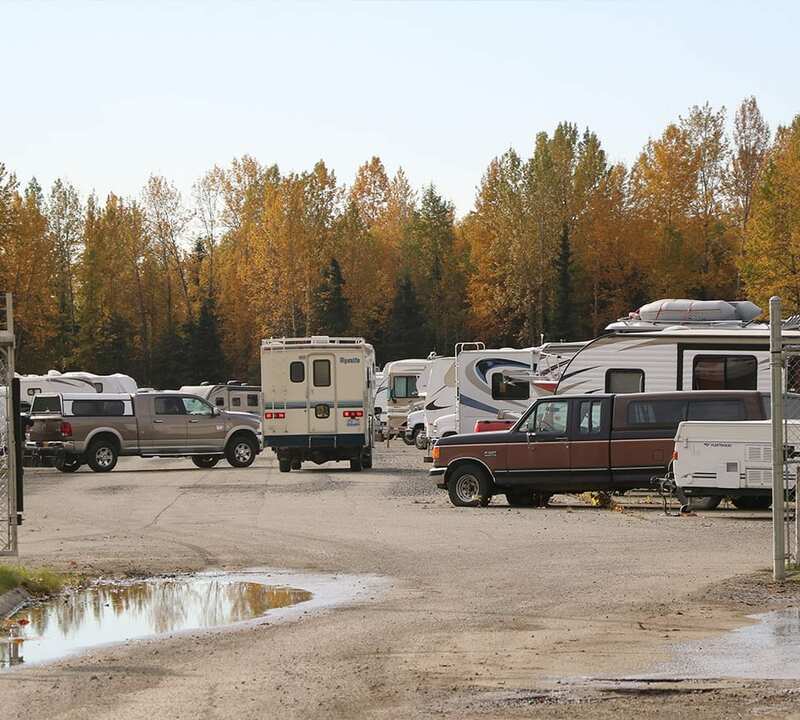 RV spots range from 15ft – 55ft. We have a mix of back-in and pull-through spots. We have all of our spots are uncovered. $1.25/foot for Active Duty and $1.50/foot for all other personnel. Pull through spots are an additional $0.25/foot. We offer a hassle-free, auto-pay option. We also accept walk-in, mail-in, and phone payments. 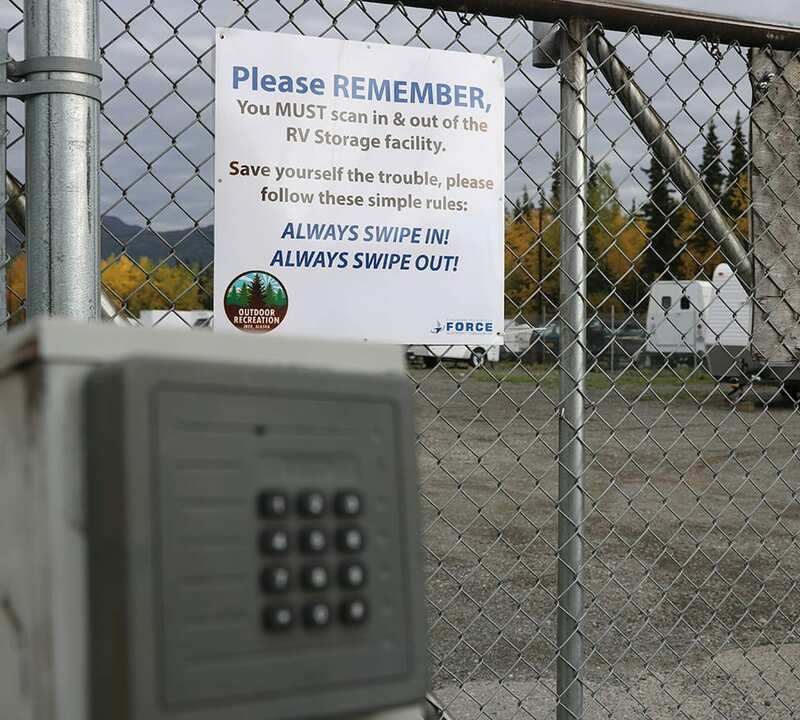 For your convenience, all of our lots are accessible 24/7 through our key card gate systems. At time of registration, you must provide proof of ownership for equipment storage, in-person, at the Outdoor Recreation Center. Little Dipper: Otter Lake Road & Richardson Drive, JBER-R.
Persimmon: Corner of 3rd and Finletter Ave, JBER-E. Maple: Corner of Gibson and 6th, JBER-E.
Northern Lights: Otter Lake Road, JBER-R.
Milky Way, Davis Highway, JBER-R. Solar Eclipse, Across from the Marine Reserves Building, JBER-R.
Mon. – Fri.: 9:30 a.m. – 6:00 p.m. Sat. & Sun. : 9:30 a.m. – 5:00 p.m.